Check here Ind vs WI 2nd ODI Scorecard of India vs West Indies 2nd ODI of the 5-match Ind vs WI Paytm ODI Series 2018 as part of West Indies Tour of India 2018. Find here Ind vs WI 2nd ODI live scores and also Ind vs WI 2nd ODI highlights on the internet. The India vs West Indies 2nd ODI will be played at the Dr. Y.S. 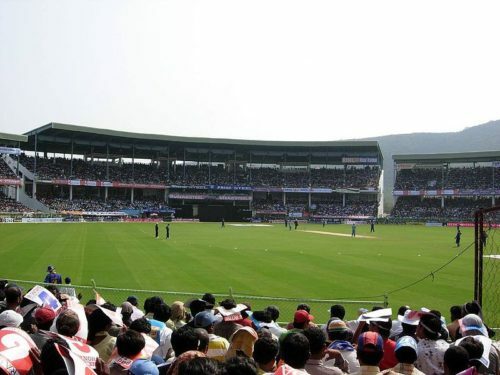 Rajasekhara Reddy ACA-VDCA Cricket Stadium, Visakhapatnam on 24 October. In this post, you can also find the Ind vs WI 2nd ODI squads and all other information. India leads the 5-match Paytm ODI Series 2018 1-0 after an 8-wicket win in the first ODI at Guwahati (Ind vs WI 1st ODI Scorecard). For more coverage of the Ind vs WI Paytm ODI Series 2018 including the Ind vs WI 2nd ODI Scorecard, keep following CricketHerald.com. Thanks for checking this post for Ind vs WI 2nd ODI live scores and also Ind vs WI 2nd ODI highlights online.